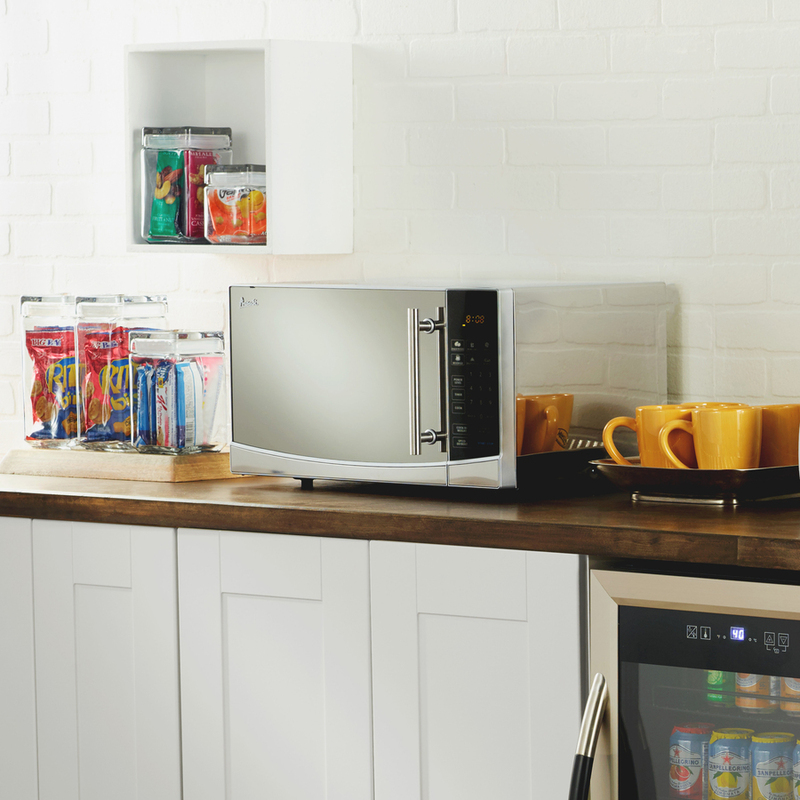 This 1.1 cubic foot microwave oven provides ample space for a wide variety of cooking needs. Its one-touch cooking programs put delicious cooked results just a touch away. Its removable glass revolving turntable means you won't have to turn food by hand to get even cooking. 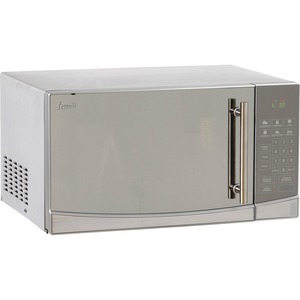 Microwave includes 1,000 watts of cooking power for fast cooking, electronic control panel, speed defrost, kitchen timer and digital cooking timer. Has stainless steel finish with mirror door.